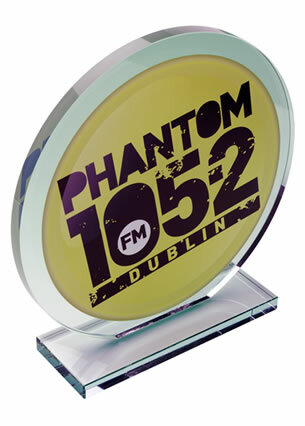 Contemporary optical crystal awards plaque in clear and blue glass with distinctive wave design. 23cm tall. 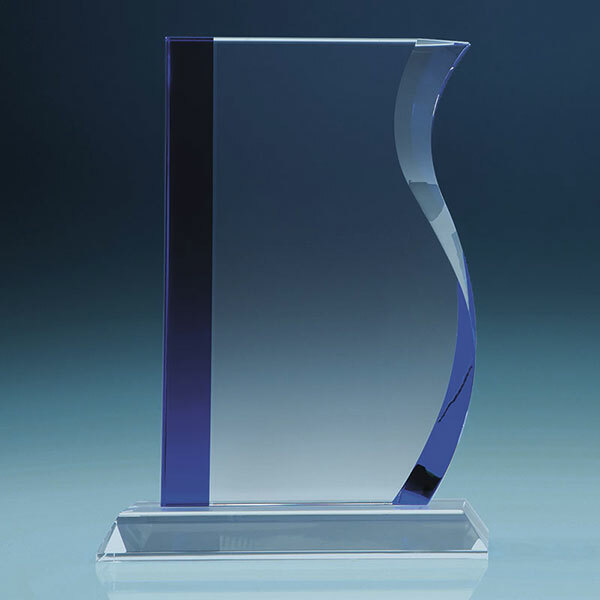 A modern award with a contemporary design, these Blueline Wave awards are perfect for a wide range of events and presentations, from sports trophies to competition prizes to corporate recognition awards. They feature a flat glass frame with a distinctive wave design on one side and an equally striking deep blue glass column on the other side. The award is crafted in optical crystal, which refracts light in a myriad of ways, and the wave side of the award features a thick bevel that ensures the refracted light constantly changes as the award is viewed from different angles. 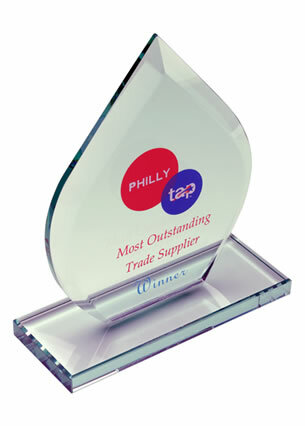 These 23cm tall awards are mounted on a rectangular optic crystal base with bevelled edges. 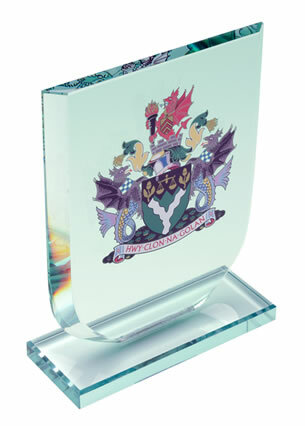 The front of the provides a large area for customising and these awards are offered with engraving and/or colour print options.